When the partial government shutdown was lifted in late January, stories started circulating about mayhem and carnage at America’s beloved National parks: toilets overflowing with human waste at Yosemite, trails stomped out in restricted areas in Arches, ATV tire tracks in Death Valley. But no acts of destruction have received as much coverage as the ones that reportedly took place at Joshua Tree National Park. 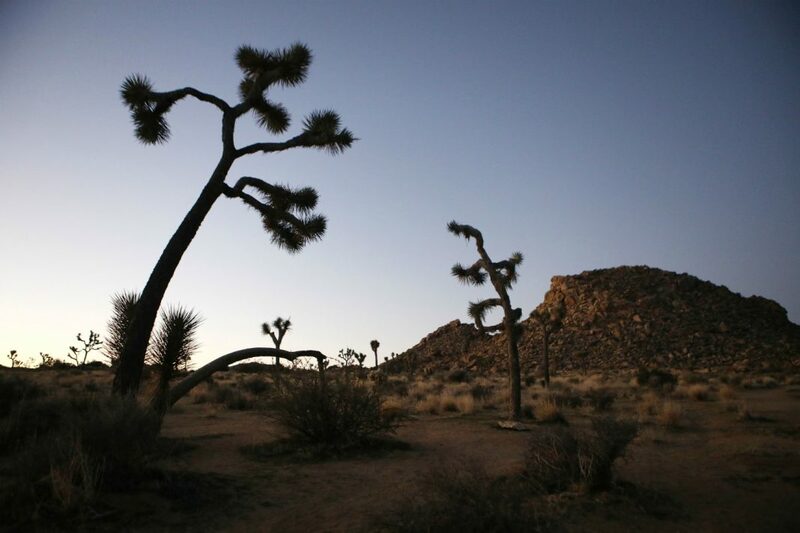 The park’s superintendent reported that people had broken locks and chains so they could drive through restricted areas, spray-painted graffiti, and, worst of all, it appeared people had chopped down several of the park’s namesake yucca plants, reportedly to make way for four-wheelers. In one of the most widely shared photos, the whimsical, Seussian plant lies prone on the desert floor. It became another symbol of the government shutdown: our tenuous institutions failed and the natural world suffered the consequences. As the story spread, an opposing conspiracy theory crept into comment sections and threads across social media. However you feel about the media, the environment, or the government shutdown, the Joshua Tree Truthers may be telling the truth—or part of it, at least. “In the big picture, this is kind of normal wear and tear on the park,” says John Lauretig, executive director of Friends of Joshua Tree and a former law enforcement ranger for the National Parks Service. The National Parks Service did not respond to requests for comment. According to Lauretig, the park sustained more damage than average during the shutdown, but not enough to warrant the doom-and-gloom coverage that the media (including us) has furnished. Lauretig brings up some issues with the figures that have been cited around the vandalism. The 24 miles of illegal off-roading, for instance—“I can’t imagine that all 24 of those miles were done between day one and day 35 of the shutdown.” After the first evidence of damage came to the attention of the Parks Service, “they almost did a complete sweep of the park.” The resulting list of environmental despoilment may have included earlier infractions that had gone unnoticed. “What we understand in the off-road community is that if we carry it in, we carry it out,” she says. While she didn’t write the Instagram post herself, she says “the point was to introduce doubt” into the media narrative. And so CORVA borrowed from the handy lexicon of media skepticism and called the story “fake news.” Even though using the term may suggest otherwise, Granat claims to be a supporter of journalism.